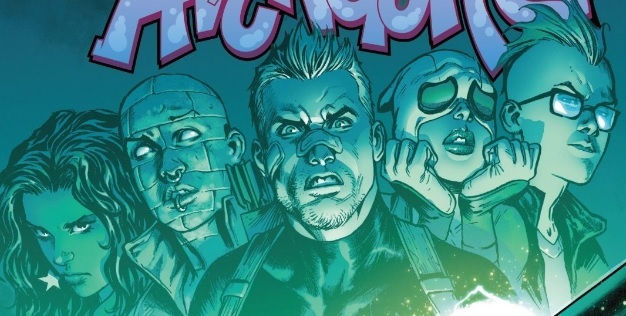 When discussing West Coast Avengers 2, we went into significant detail about how B.R.O.D.O.K. represented the worst traits of toxic masculinity, of entitled, deluded men who think of women as objects or prizes rather than real people with their own needs, personalities, and desires. With issue 3, Kelly Thompson and Stefano Caselli continue to explore this topic, but come at it from a slightly different angle. This time, their attention is focused less on the delusions that drive B.R.O.D.O.K. and more on how his actions effect the women around him. Spoiler alert: things don’t go well for them. B.R.O.D.O.K. has quite literally turned the women he believes spurned him into monsters, and if that feels like a potent metaphor to you, well, it should. Men like B.R.O.D.O.K. are infamous for vilifying women who don’t give them what they want, who don’t follow their script, painting them as monsters or villains, con artists or cruel seductresses, for daring to have minds of their own. Usually this vilification comes through slander or rumors, either online or in person, but B.R.O.D.O.K. has the power to quite literally turn women into the monsters he sees them as in his mind. Either method, though, is just as harmful, and has long-lasting effects, on the victim. 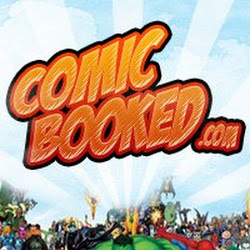 Interestingly, Thompson and Caselli’s depiction of B.R.O.D.O.K. points out that his treatment of women is a form of projection — he has a certain viewpoint of the world that he projects onto everyone else around him. B.R.O.D.O.K. is shallow — the only beauty he sees, the only beauty that matters to him, is outer beauty, and so he assumes that that’s all anyone else cares about as well. His toxic masculinity is thus ultimately rooted in selfishness; the only perspective he can consider is his own, and thus not only can he only think of other people (but especially women) in terms of what they can provide him, but he assumes that everybody else views the world the exact same way, because he lacks the perspective and empathy to see the world from anyone’s viewpoint but his own. It’s another reason why empathy and compassion are such essential traits in the world we live in. 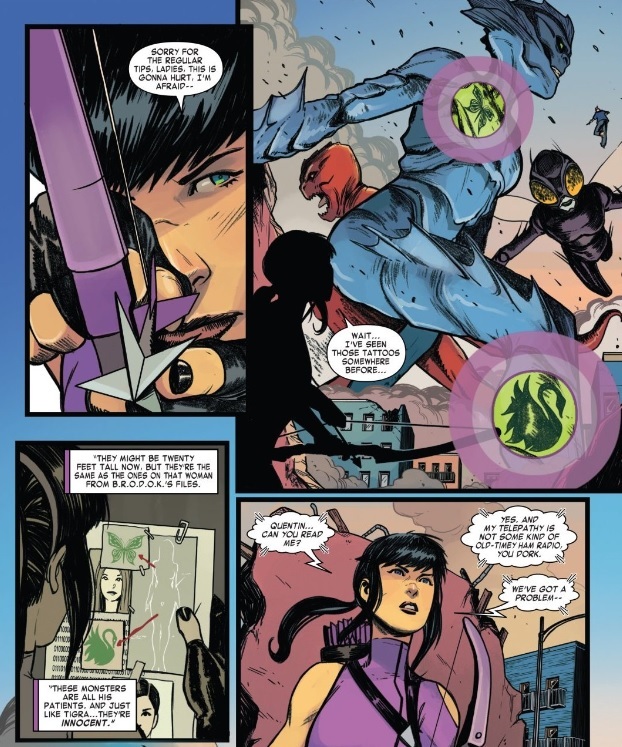 Thankfully, the West Coast Avengers provide that compassion and empathy, as I mentioned earlier in this piece, serving as an antidote to B.R.O.D.O.K.’s toxic masculinity. There’s two specific examples in this issue that stood out to me. The first comes when Fuse reveals that his piercings are made of vibranium. I immediately found that suspicious — vibranium is rare — and Thompson and Caselli, through a confessional scene, quickly confirm that, yes, we’re supposed to be a bit suspicious of those piercings. Fuse’s girlfriend Kate, though, just finds them delightful. When faced with a game-changing surprise from her significant other, one that would probably send B.R.O.D.O.K. reeling into a rage, she can only see the upside. That’s how you treat the people you love. 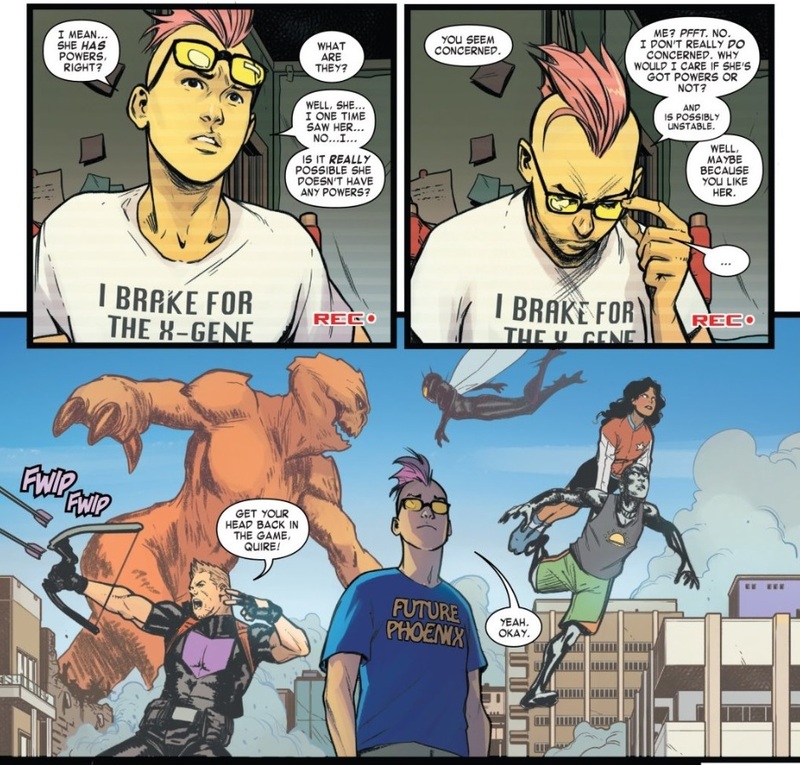 Shockingly, Quentin Quire also provides an example of compassion and concern that we’d all do well to emulate. He, too, is faced with a potentially game-changing revelation about the woman he cares about. It’s the kind of “secret” that could easily trigger a man like B.R.O.D.O.K., but Quentin just reacts with concern. He isn’t mad at her, he isn’t worried about how this effects him, he’s instead genuinely concerned about Gwenpool’s safety and sanity. It feels weird to praise someone for being concerned about someone they care about, though, doesn’t it? Shouldn’t that be the bare minimum? Yes, it should, but it’s shocking how many people can’t even provide that. Through B.R.O.D.O.K. Thompson and Caselli have shown how insidious, selfish, and juvenile his particular brand of toxic behavior is, and exactly the kind of simple, yet powerful, behavior that’s required to counteract it. I think in future issues they will build the characters and get rid of the toxic masculinity. 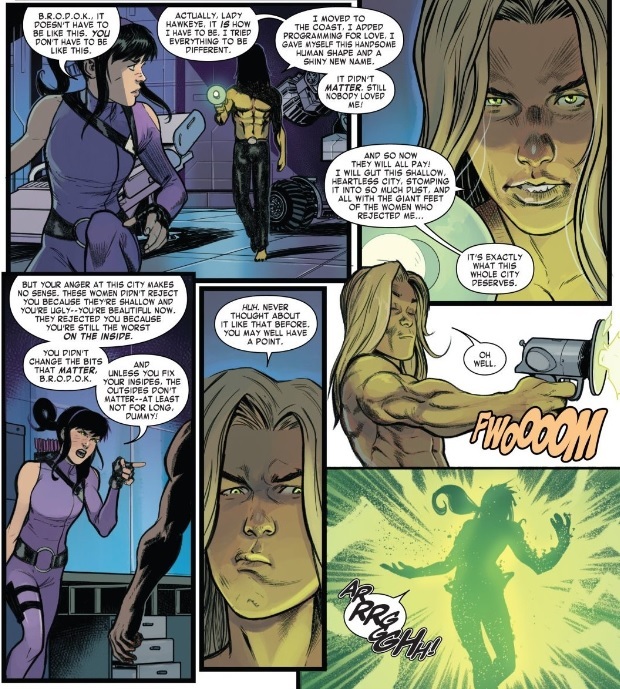 Just by Quire showing more concern than he did in the first issue of the comic series. If we keep going this way he might even cry one day!